It had probably been over 10 years since I've had or made Chaquehue. 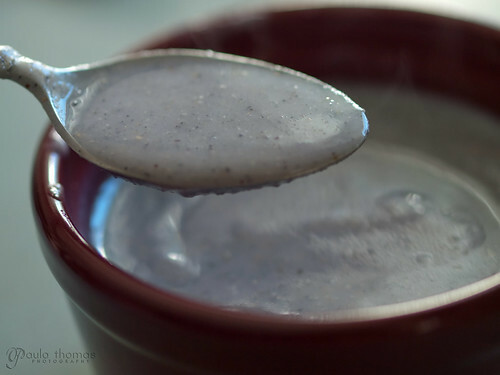 It's eaten as a hot cereal, similar to cream of wheat, made with blue cornmeal. I always liked the color of it, a pastel purple. How could you not like eating something purple? I grew up on this stuff and always had a hard time finding blue corn meal locally and never really thought of getting it online. There's a few Mexican stores near me and none of them seem to carry it. My Grandma came to my rescue this past Christmas and sent me some from Colorado where you can find it pretty easily at most grocery stores. I was later informed via Flickr and Facebook that Bob's Red Mill has a blue cornmeal that you can probably find at Whole Foods and other grocery stores around town. I've only ever made it using the kind pictured below that's usually found in Mexican stores. So after I run out, I may give Red Mill brand a try and see if it tastes the same. Several people were curious about the recipe so I decided to measure out the ingredients over the weekend so I can post a recipe. I've never measured the ingredients before, I usually just throw it all together. 1. Add cold water and blue cornmeal to a sauce pan. 3. Add milk, sugar, and a pinch of salt and wisk until combined and serve hot. You can use less sugar and/or milk if you like but these are the measurements I used last weekend and I wouldn't use much more sugar or milk than what I have above. You can add a little at a time until it's the thickness and sweetness you like. I just had a bowl full made with blue corn and some cocoa. Yum. Hardly anyone knows the word Chaquehue! Yeah I grew up on this stuff. My mom's side of the family is Mexican and they always called it that. Yes, I'm having a bowl in a few minutes made with blue corn meal from NM and some cocoa. Yum! I would bet its a Tewa word most likely spelled Saquewe or something similar. What your making is called Atole. Chaquehue is totally different. It is a Blue corn meal mush sort of dish. I don't think so. From what I've read atole is a drink. This is not, it's a hot cereal like a porridge. It is a little runnier in this pic than what I usually make it. I just added too much milk. This is Atole. Chaquehue is white corn meal. I agree with Dominic Lafayette. As a northern New Mexican native my family and I have lived here for several generations! I grew up on Atole and Chaquehue. What you are showing is Atole which is a drink. Chaquehue is white corn meal and is served warm with sugar and milk and is usually eaten for breakfast. The packaging in your picture even says "Atole". The pic and recipe is for Atole. Chaquewe is thicker, like a bread. My great-grandmother served it with beans, almost like blue cornbread but more like the texture of tamale masa. 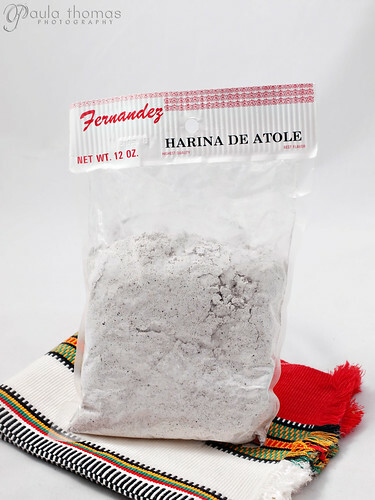 I was missing my mother and longing for home when I remembered that I had a package of Harina Para Atole in the freezer (several years old). I was not exactly sure how my mom made it or the spelling for Chaquewe. I followed your recipe and it was just like my mom made. Thank you for posting the recipe. Aww. I have a lot of memories of eating this stuff as a kid. Glad the recipe worked for you. I haven't had it in a long time. Need to visit a Mexican store and get some more. Mmmm...I grew up on chaquehue too!. My mom made it more savory and thicker. She'd make red enchilada chili to pour on top! So delicious! I like Denise Griego de Angel's comment and want some beans and blue corn bread- like tamale masa - like + red chile, like NOW! Sounds amazing. Joy is right chaquehue is white. I wish I could find it. All I find is Atole. My mom with make atole like a drink and chaquegue like a porridge with lard. salt and water. 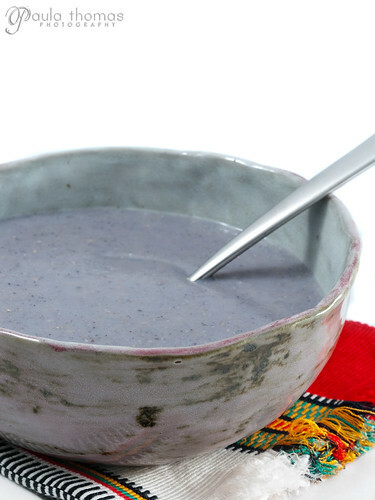 Atole is blue corn meal and chaquehue is white corn meal and I grew up on atole. My mom didn't know how to make chaquehue and if any one knows how could you share please.